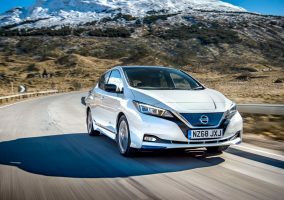 JUST over a month since the new Nissan LEAF officially went on sale, Nissan has confirmed it has received more than 20,000 orders across Europe for the all-electric hatchback. It means a LEAF is sold every 12 minutes, making it the fastest-selling electric vehicle in Europe. 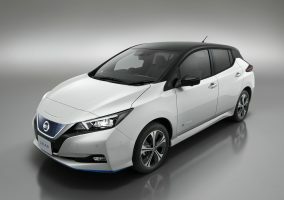 Prices for the all-new Nissan LEAF, including a £4,500 government grant, start at £21,990 (OTR) for the entry-grade Visia model, rising to £33,655 for the top-of-the-range Tekna model. 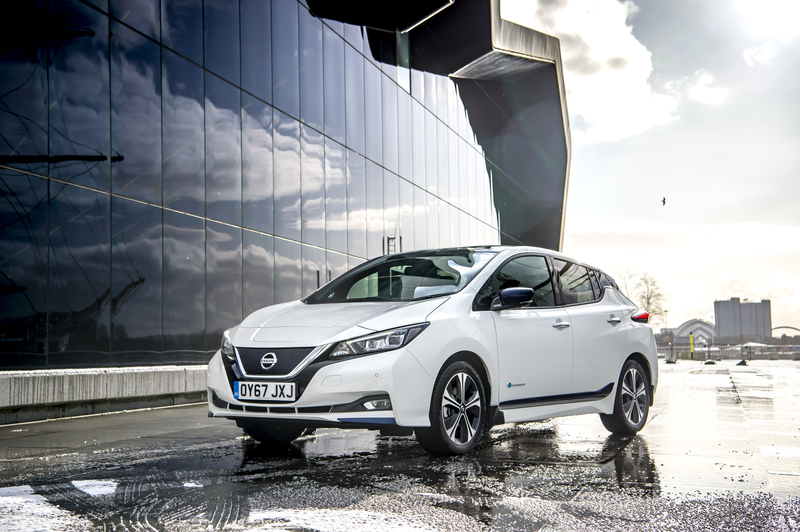 Together with an exterior overhaul — with a dynamic new front end and signature ‘floating roof’ — the all-new Nissan LEAF is packed with ingenious technology and a bigger 40kWh battery to provide a much longer range than previous models. 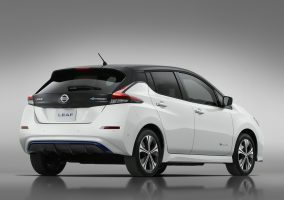 On top of Nissan’s suite of standard Nissan Intelligent Mobility technologies, including Intelligent Cruise Control, Intelligent Lane Intervention and Intelligent Auto Headlights with full LED, the all-new Nissan LEAF features the innovative e-Pedal as well as ProPILOT and ProPILOT Park. The e-Pedal gives motorists a whole new way to drive, allowing them to start, accelerate and stop using just one pedal making every journey simpler and more enjoyable. ProPILOT advanced driver assistance is also part of the package, taking the stress out of driving by automatically controlling the steering, acceleration, braking and gear selection on single-lane highways, while ProPILOT Park assists in similar ways to make parking effortless.